System Ninja Pro is available exclusively to Pro Club members. 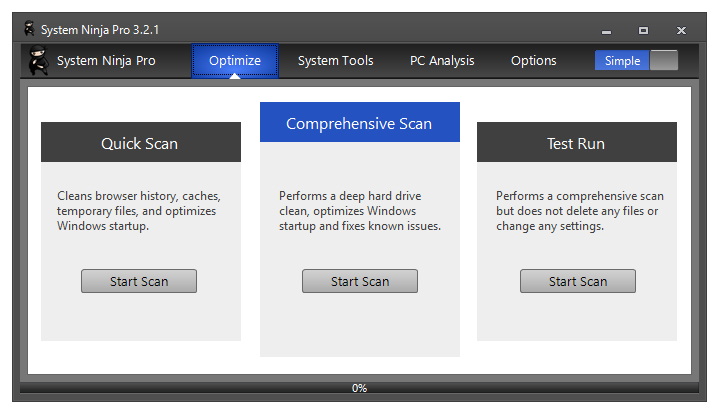 System Ninja Pro’s simplified interface can clean and optimize a PC with a single click. Easily switch back to the classic UI if you need it. Want to run System Ninja from a USB flash drive? Pro Club members can download a portable version that does not need to be installed. PC technicians can change System Ninja’s colors and layout to completely re-brand it for their clients. Yes, white-label System Ninja. 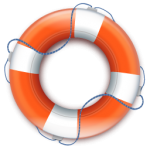 System Ninja Pro can map temporary file locations—including for web browsers—on inactive Windows installs, either on a different hard drive or across a network. System Ninja Pro’s functionality can be automated using commandline arguments. Silently clean in the background! System Ninja will automatically prompt you to install new versions when they’re available. You’ll never need to download System Ninja again. A Pro Club subscription includes developer-provided priority support for System Ninja Pro and all our other software products. Sorry, you need to be logged in to see the special offer.